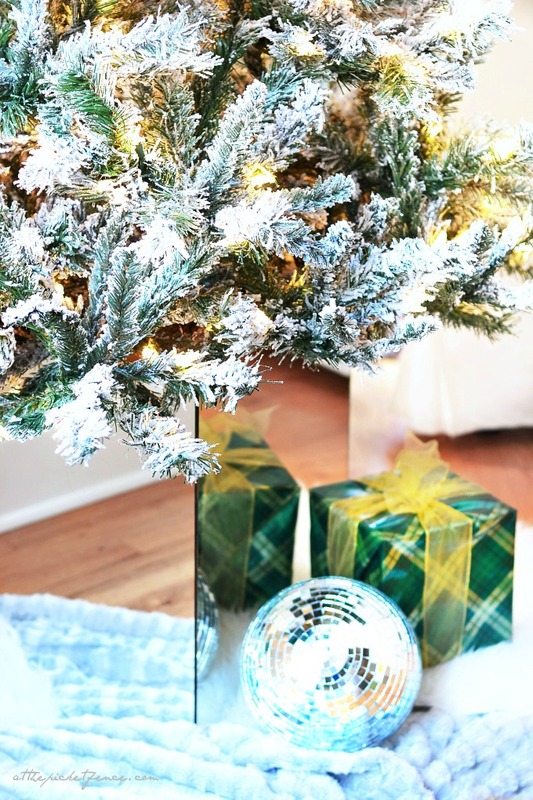 For now, I’m sharing just a sneak peek of my tree, but stay tuned for our full holiday house reveals when we join up with 30 bloggers for the 2013 Holiday Housewalk, the first week of December! This year we will each be sharing our homes on separate days which means more pictures, so we are busy little elves getting them ready for your visit! I’ll see you back here Friday for another Take Five: Five Minute Craft…and as always, thanks for joining me at the picket fence! Sharing this project over at Tidy Mom’s I’m Lovin’ It Party! 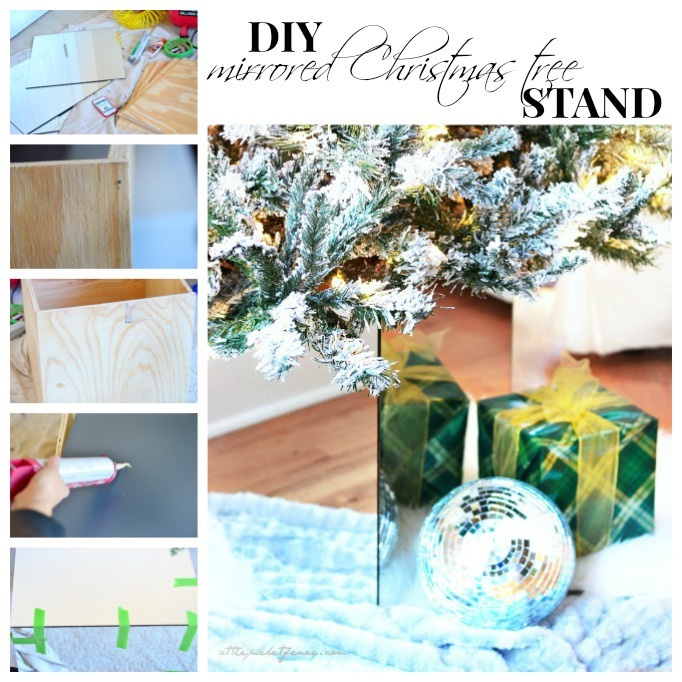 24 Comments on "Mirrored DIY Christmas Tree Stand"
What a great idea! Love the glam look! Thank you Leslie, I’m definitely trying to glam it up this Christmas! I love this, my only question is how hard is it to water the tree with all the decorations on it? LOVE this idea! I’ve only seen these in high-end magazines! What a great way to celebrate! Merry Christmas (early) to you! Thanks Kari! Can you imagine how much it would be to buy one?! lol I’ll take a DIY one any day! hehehe….you knew! Mirrors are so hard to photograph! I’m glad you like it! Great idea and soooo pretty! I love the way this looks. Can’t wait to see your entire tree! I love it. 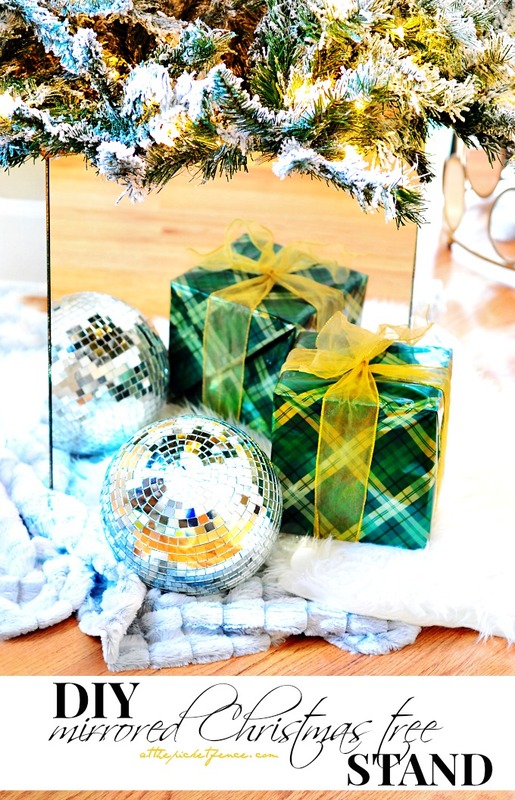 I can probably find the mirrors already cut at any discount store and a box to match; and tie a shimmery ribbon around it. Thanks for the beautiful idea. Oh I was so close. Not a side table but a fabulous tree stand. 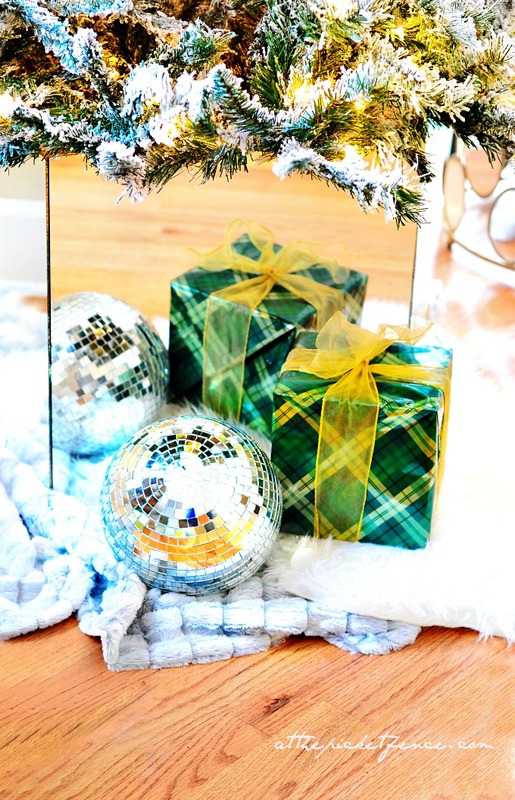 And now it will look like you have double the presents under the tree! Ha! It is so, so pretty! And great to use year after year! What a great idea. I love the mirrored stand. I can’t wait to see the rest of the reveal. Talk about great bling…gorgeous and such a great idea…!! This is so COOOOOOL Heather!